Yesterday, I talked about the ‘inner critic’ and how it tries to squelch the creative spirit. It’s often a tough fight – a slug fest even, between creativity and the critic, but the creative spirit is strong, and wants to be heard. There’d been a bit of a slugfest going on inside of me about a shot I just wouldn’t take. I kept getting the ‘nudge’ – that gentle internal push to pull out the camera, but the louder voice was the ‘inner critic’ questioning the shot. Convincing me that it just wasn’t worth taking. So, I didn’t take it. Until one day, I did. Not sure why. Not sure what shifted. But, I took the shot. Now, I wasn’t sure if the photo was any good, but I learned ‘good’ wasn’t really the point. The point was ‘honouring the creative urge – giving it voice, giving it space, and seeing where it leads’. Here’s the thing – I remember how I felt when I took the shot. It felt great! I was excited to see how it would turn out. And, I relaxed. And, I think it got the creative juices going. I took some more shots afterwards. Shots of things I’d never noticed before. And, I had fun. So, where did that creative urge lead? To seeing new things. To more creative energy. To more joy. It was a doorway. Literally and figuratively. The literal doorway is above. I’d passed it many times before but had never seen it. It was the very next shot I took. Lesson learned. Door – opened. I recognize that ‘slug fest’…much as I hate to admit it. Thank you for such inspirational words. This door is just perfect. What an elemental truth – that following that small voice of creativity leads to nothing but joy. Isn’t it amazing what you begin to see when you quiet the inner critic and listen to the tiny nudges, pushing you in the direction of seeing more? 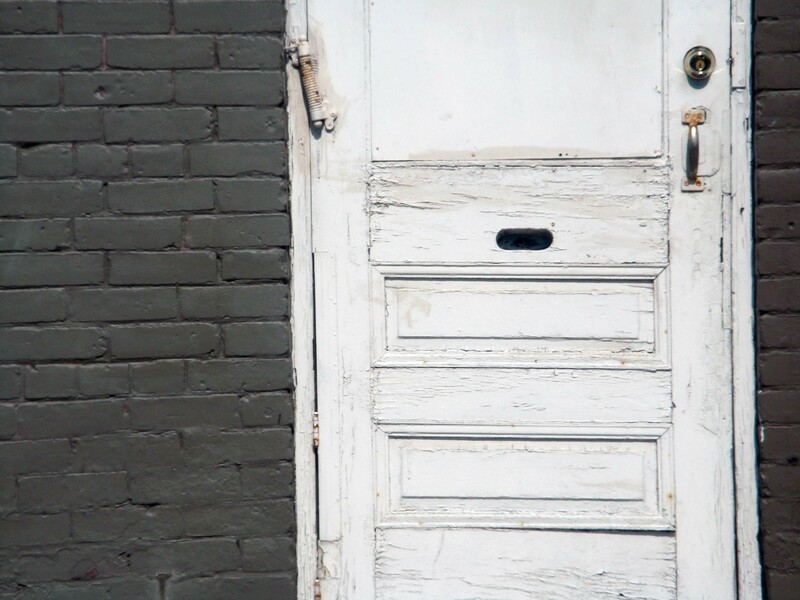 How appropriate that you next image was a literal door – a metaphor for your inner transformation.